Ready for making the adorable Germany Collection nail colors a durable one? Gelcolor is now available in HK! 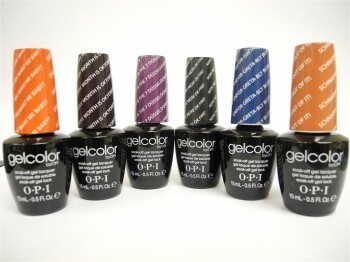 OPI has chosen 6 colors from the collection only, let’s see what your favorite color is! Not satisfied? In order to give you a broad choices of color for the Fall season, check out The Classics Shades Gelcolor collection launching at the same time.